All Levels - Great for Beginners! Exploring a blend of Kundalini Yoga, Meditation, specific breathing applications, sound current and suggested nutrition provide an opportunity to recalibrate the imprint of addictive patterning on the brain. These yogic components provide a psychological advantage necessary to remain calm and non-reactive under the most challenging situations. Further, it gives on the immunity to protect oneself from the pressures of society which can lead to addictions. These classes will provide a direct experience for the excellence of the Self as well as practical tools to share with others. This class is inspired by the SuperHealth program, approved by the National Certification Commission NAADAC, the Association for Addiction Professionals. SuperHealth has been accredited by the Joint Commission on Accreditation of Healthcare Organizations and received its highest commendation being rated in the top 10% of residential programs in the United States. This program is in the cutting edge of breaking habits and addictive behaviors as it is in the forefront of yogic therapeutic technology that is precise and proven effective. We address alcohol, drugs, smoking, eating disorders, gambling, co-dependency, overworking, shopping, technology addictions and includes the management of stress, depression, fatigue and anxiety. All are encompassing in a non-judgmental & nurturing atmosphere. Exploring a blend of Kundalini Yoga, Meditation, specific breathing applications, sound current and suggested nutrition provide an opportunity to recalibrate the imprint of addictive patterning on the brain. These yogic components provide a psychological advantage necessary to remain calm and non-reactive under the most challenging situations. Further, it gives on the immunity to protect oneself from the pressures of society which can lead to addictions. These classes will provide a direct experience for the excellence of the Self as well as practical tools to share with others. Also known as “Yoga of Awareness” Kundalini Yoga rebuilds and strengthens the nervous system which has been weakened by substance abuse, stress and depression. Kundalini Yoga gives back your own strength; it provides discipline, changes the chemistry of the blood, stimulates the glandular system and teaches a person to relax in a sustainable manner. pen to all who are looking to overcome self-destructive behavior or addictive tendencies. In the cutting edge of breaking habits and addictive behaviors using yogic therapeutic technology that is precise and proven effective. Addresses co-dependent relationships, alcohol, drugs, smoking, eating disorders, gambling and more. Investment: Intro of 30 days for $49 is only for new students. 10 class card is $130 ($13/class), 5 class card is $75 ($15/class), drop in $17. 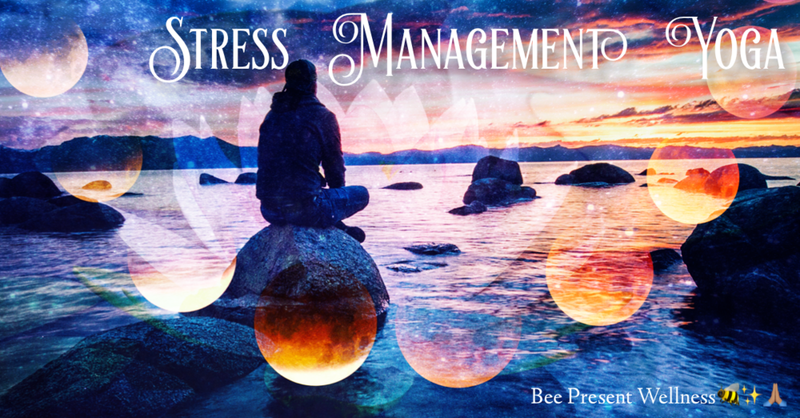 Jaque Hanson is the founder and spiritual director of Bee Present Wellness in New Cumberland PA, Beehive Mystery School, Beehive Apprenticeship, Shamanic, Reiki and New Paradigm practitioner. Jaque is also an E-RYT Kundalini Yoga teacher, and Arvigo Maya Abdominal Therapy® practitioner. In addition Jaque loves to work with, wear and share authentic and certified Vogel Quartz Crystal Sacred Geometry Jewelry. Jaque believes that this is the time we have all been waiting for, and sees herself as a vessel, providing a safe container in which others may peel back their outer layers, and allow their True Radiance to Emerge and Shine.